Sponsor Super Sale! Only $10 for 3 Pairs of BabyLegs!! Get them FAST! I hope everyone had a wonderful and filling Thanksgiving. I know I did. It was my first time cooking a turkey (I've purchased them fully cooked in the past) and I was really happy with the way that it turned out! I know everyone is busy shopping today so I'll leave you with this AWESOME deal from our sponsors - BabyLegs! Enjoy!!! I just purchased the "Paint the Town Pink" set! 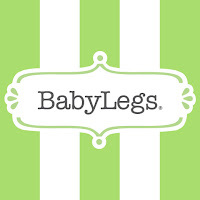 While you're at it, don't forget to "Like" BabyLegs on Facebook! For more FREE BabyLegs, enter our giveaway here!